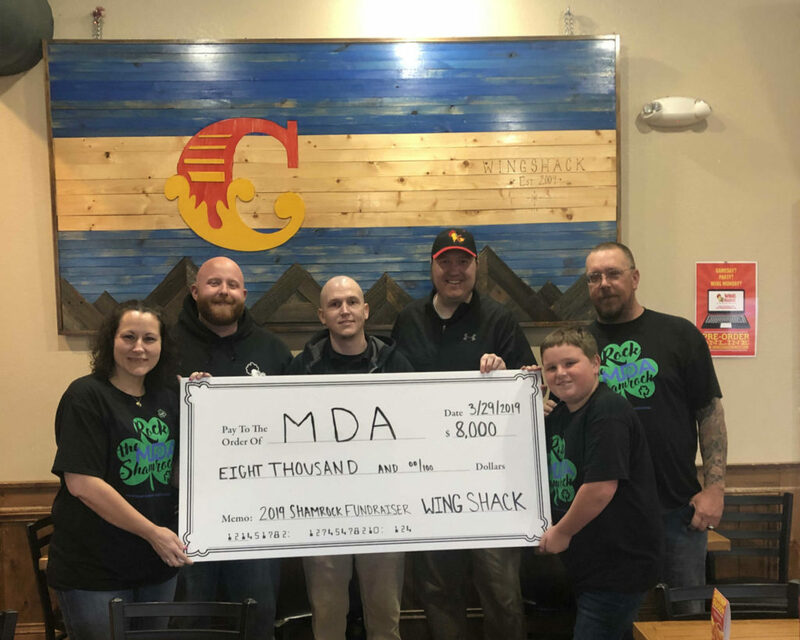 In yet another display of generosity by the communities of Northern Colorado and Southern Wyoming, the Wing Shack collected a total of $7,614.25 during the Muscular Dystrophy’s annual Shamrock fundraiser. (To make it an even $8,000, the Wing Shack donated $385.75) The fundraiser, which the Wing Shack has participated in for the past 8 years, encourages guests to purchase a green, gold, or platinum shamrock, with respected values of $1, $5, and $20 – 100% of all sales of the shamrocks are donated directly to the Muscular Dystrophy Association. The amount raised this year is a record for Wing Shack, exceeding its previous highest total by over $1000. Thanks to everyone who purchased a shamrock this year! Keep on spreading that #WingLove!